I made this cute card for my dad....I'm super early and ahead of schedule for once...his birthday is in OCT....but I AM READY!! 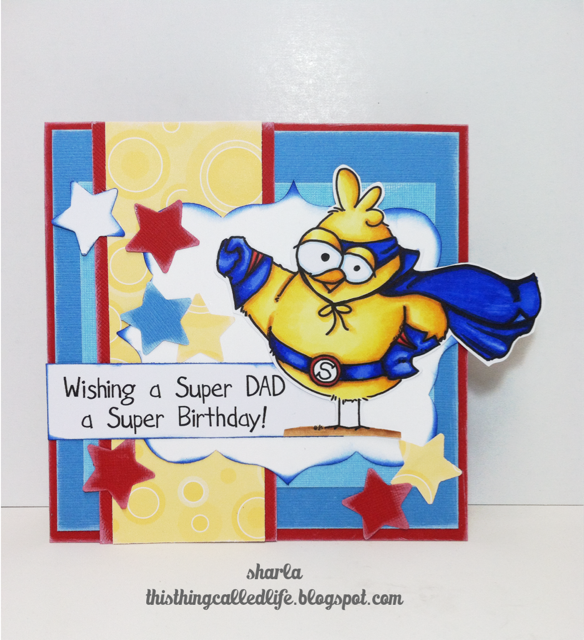 This cute super bird is perfect for my dad, he's a pretty amazing guy. He grows a garden and gives away most of the harvest to neighbors and even strangers. There are times when my gas tank mysteriously fills up or I find a $50 in my glove box. He helps when he is tired and he helps when he doesn't feel good, that's just the kind of guy my dad is. Always wanting to help someone else, and he doesn't want the credit. A lot of his service is done quietly and anonymously. He's a super great guy and I'm so grateful he is my dad!! Great way to combined both challenges together. Your coloring is great and i like the stars. Your dad sounds like an absolutely amazing man! You are one lucky girl! Your card is adorable and he will love it! Thanks for linking it up with us over at Seize the Birthday! Your dad sound like a special person. I just love these bird images! 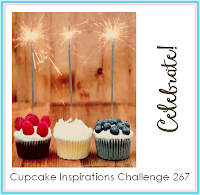 This is perfect for this week's Celebrate challenge at Cupcake Inspirations! Thanks so much for sharing! Awesome card, love the image!! Thanks for playing along with us this week at the Party Time Tuesdays Red, White, and Blue Challenge!! Oh this is sooooo cute! Adorable! Love how you've colored the Birdbrain and the scattering of stars...great card! Thank you for playing along with us at From the Heart Stamps!